Echo of Unification (통일의메아리방송), a North Korean radio station that broadcasts propaganda towards South Korea, dropped all mediumwave (AM band) broadcasting on December 21. The move seemingly confirms the futility of the broadcasts, which consumed large amounts of electricity but were blocked by powerful South Korean government jamming transmitters, but the station isn’t giving up. In their place, it has brought on air additional shortwave and FM transmitters. It’s all part of a game that’s been going on for decades. North and South Korea both broadcast propaganda at each other while trying to stop their own citizens from hearing the other’s broadcast. Similar battles used to be played out across borders around the world but have largely moved to the internet and social media. The lack of internet in North Korea and South Korean censorship mean radio still plays a part on the Korean peninsula. Echo of Unification in December 2012 with three blocks of programming each day: from 7am to 9am; from 1pm to 3pm; and from 9pm to 11pm (Pyongyang time). The programs were broadcast on shortwave 3,970kHz and 6,250kHz, mediumwave 684kHz and 1,080kHz and FM 97.8MHz. The mediumwave broadcasts were strong and could be heard across a large part of East Asia at nighttime, but suffered severe interference in the Seoul area where the South Korean government broadcast noise on the same frequency to drown them out. FM was also blocked in Seoul but could be heard very close to the border and shortwave was completely clear, perhaps a recognition that few homes have shortwave radios these days. Here’s a clip of Echo of Unification starting transmission in May 2013. I recorded it on 97.8MHz from the Odusan Unification Observatory, which overlooks the Han River and North Korea. And a slightly more lively clip also recorded in May 2013 on 97.8MHz from Osan, south of Seoul. It should be noted that the clear reception on these clips was only possible with careful placement of the radio. The signal was weak and the South Korean jammers quite effective. With the end of mediumwave broadcasts, Echo of Unification has added shortwave 5,905kHz and FM 97MHz and 89.4MHz. 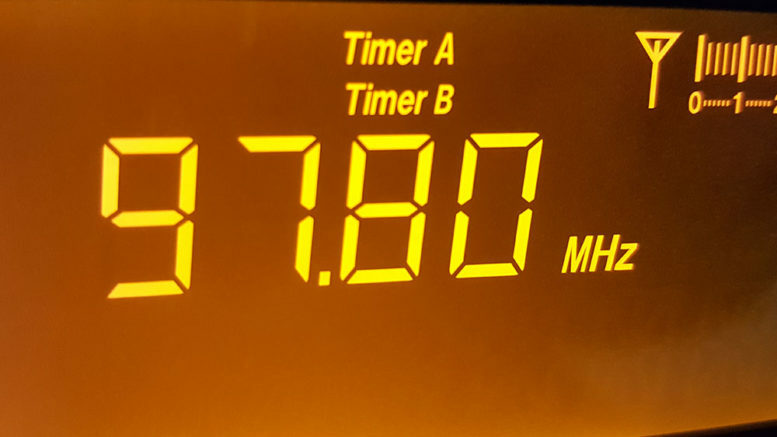 The additional shortwave frequency gives listens in South Korea an extra spot on the dial to tune into the station, although because shortwave radio ownership is so low and there’s terrible electrical interference in most Korean cities, this really only reaches people who are already sold on the propaganda message. No South Korean is going to stumble across the station on shortwave like they might while tuning a car or kitchen radio on mediumwave. South Korea has already started jamming the FM broadcasts giving them limited reach into the country, but perhaps the target here is bored soldiers stationed along the border. The FM signal can be clearly heard in the border region and North Korea might be hoping to reach a few people here. 1 Comment on "DPRK propaganda station drops AM broadcasts"